Description: Son of violin maker Georges Lotte, François Lotte was born in 1889 in Mirecourt, France. He began his training under Charles Nicolas Bazin, and was employed at the Bazin workshop until 1921. In 1922, François worked for Eugène Cuniot-Hury, until setting up his own shop in 1926. 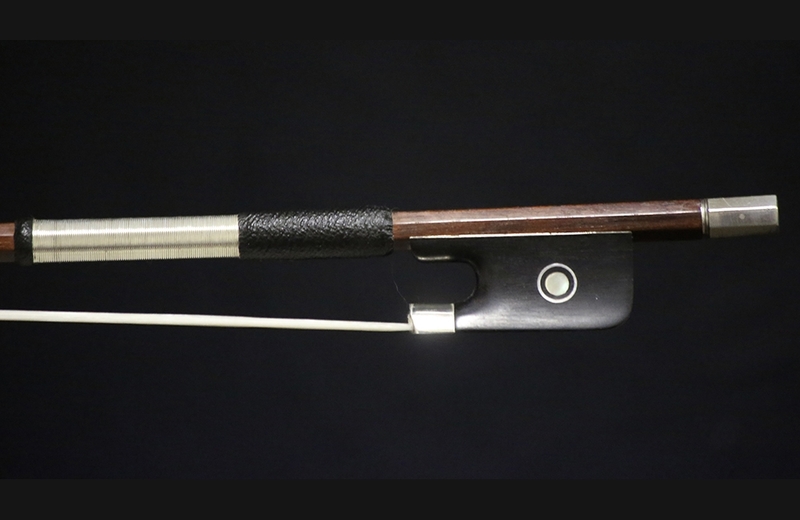 This particular viola bow is in excellent condition. 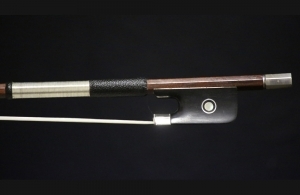 The octagonal stick of red-brown pernambuco is mounted with silver and ebony. 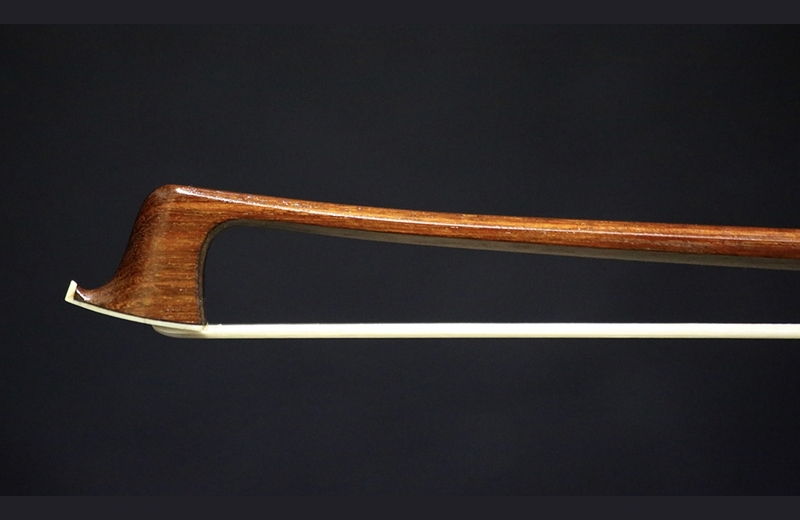 This beautifully balanced bow produces a smooth, rich tone across the strings. Weight: 68.5 grams.